"Making use of the silo approach in logistics, an innovative supply chain and additional services while optimising our costs and stock levels". As a supply-chain expert, Sébastien quickly put his entrepreneurial spirit to work on behalf of the logistics / transport process in major retail and e-commerce companies. Working as a managing director or logistics director, his attraction for management, his tried-and-tested qualities in negotiation and in managing costs meant he could boost growth in such companies as vente-privee.com and help to turn around troubled firms like DISPEO. His aim is to make the logistics process a major competitive advantage by boosting customer satisfaction and loyalty as much as possible. In 2016, he was appointed managing director of VIAPOST Connected Logistics, helping to make it a major player in e-commerce logistics services in Europe. He makes use of all HR, financial, legal, transport and business tools in order to provide operational excellence to all customers and prospects at the lowest cost. 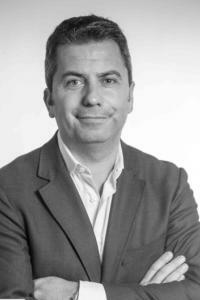 In 2018, Sébastien was appointed logistics director at the MOBIVIA group (NORAUTO, MIDAS, AUTO5, CARTER-CASH), the European leaders in maintenance and equipment for multi-brand vehicles and a major actor in new forms of mobility.